Notes: The Negh'var is the Klingon Empire's newest ship design and flagship class, they are also the most powerful ships ever produced by the Klingon Empire. The Negh'var is equipped with 26 ship mounted disruptors and one large forward mounted disruptor. 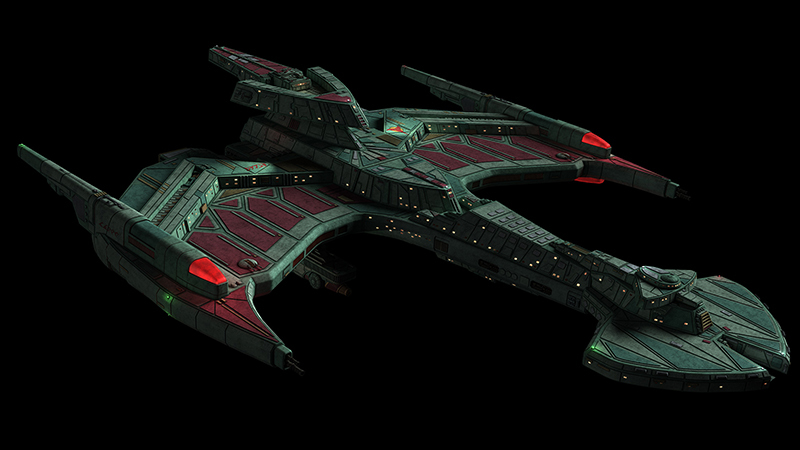 The Negh'var can also carry 2500 troops and crew. 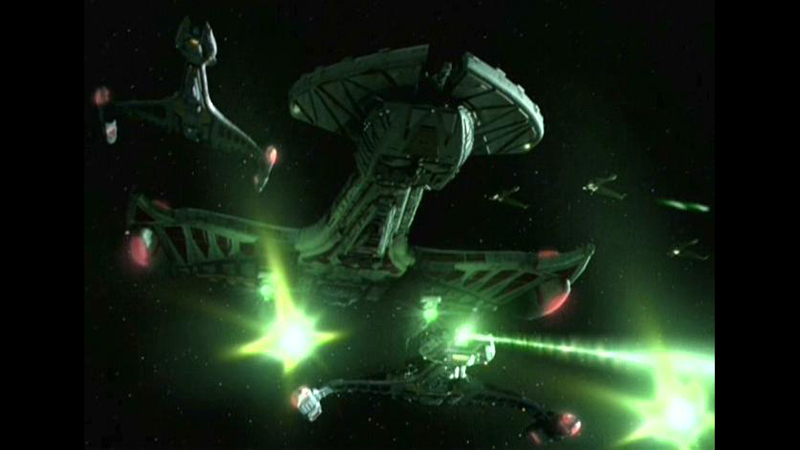 Because of its mass and heavy armament, the Negh'var loses the high maneuverability of other Klingon ships. There can be only one purpose for this weapons platform, to take down planetary defenses and space station shields followed by the ability to transport thousands of Klingon warriors into battle. The Negh'var class was possibly designed to let the Klingon Empire return to the old ways of expanding the empire through glorious battle. The fire power of this ship would allow the Klingons to destroy the defenses of even the most heavily fortified planets of the neighboring Alpha Quadrant powers. All contributions to ST-I will be considered editable and freely usable by ST-I. Your submission will not be directly posted to this page, it first must be approved by the ST-I editoral staff. Please include reference sources with your submission when ever possible. Please do no submit copyrighted material. You may also leave image links and other comments for the editor.